When people go to work, they cease to be citizens. At their desks they are transformed into employees, subordinate to the hierarchy of the workplace. The degree of their sense of voicelessness may vary from employer to employer, but it is real and growing, inflamed by populist propaganda that ridicules democracy as weak and ineffective amid global capitalism. At the same time, corporations continue untouched and even unremarked as a major source of the problem. 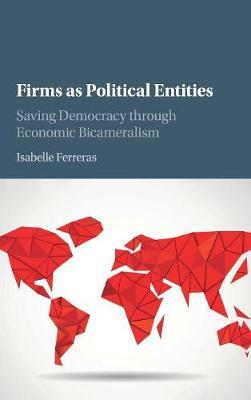 Relying on 'economic bicameralism' to consider firms as political entities, this book sheds new light on the institutions of industrial relations that have marked the twentieth century, and argues that it is time to recognize that firms are a peculiar institution that must be properly organized in order to unshackle workers' motivation and creativity, and begin nurturing democracy again. For more information, please visit the accompanying website: www.firmsaspoliticalentities.net.